Each and every day our skin is exposed to a barrage of chemicals and toxins that are found within the air. While this may sound quite nasty, it isn’t really all that bad. You see, when it comes to this sort of stuff specifically, the skin acts as an excellent defense mechanism. It is our first point of contact with the outside world, and it does an exceptional job of keeping harmful compounds from entering the body. This in turn ensures our global health is maintained efficiently and effectively. Which is obviously quite a good thing – although I should note that it does come with some potential downfalls. This exposure to toxins can lead to a substantial drop in skin health and skin quality, in conjunction with associated blemishes combined with an increased risk of developing acne (arguably the most common skin disorders occurring within the modern-day population). DIY solution for killing and repelling ticks, fleas and MANY other insects...but NOT bees or butterflies! 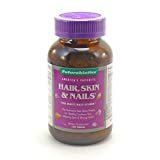 Fortunately, there are some supplements that have shown to increase the skins capacity to remove toxins, while also improving the health and function of the skin cells. 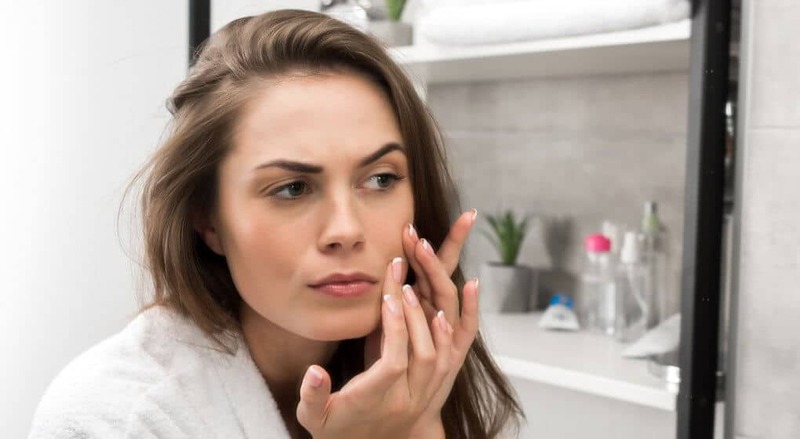 Within this, there are also specific compounds that have been shown limit the severity of acne, while also reducing the risk of developing acne plagued skin. What do skin care supplements do? Effective skin care supplements have been shown to improve the health of the skin through a number of different mechanisms. These supplements have the capacity to reduce the inflammation within the skin is a result of prolonged exposure to air driven toxins. This can lead to improvements in skin quality by increasing skin healing, while also reducing skin redness and swelling. Various skin supplements contain antioxidant compounds that reduce the formation of free radicals resulting from sun and toxin exposure. This can improve skin quality and stave off age related decline in skin health. As an added bonus, these same compounds can remove acne-causing bacteria from the skin, reducing the severity and incidence of acne. And finally, skin care supplements can also provide the skin with those nutrients essential to maintain its structure and function. In doing so it can optimize skin health, ensuring we don’t see any significant drops in skin quality over time. What should I look for in a skin health and acne supplement? Fish Oil (omega-3): is full of two key essential fatty acids known as EPA and DHA. These compounds are some of the most potent anti-inflammatory’s known to man, and as such have been suggested to cause large reduction in skin derived inflammation. This can go a long way at improving skin health, while also reducing the negative inflammatory effects of acne . Vitamin C: is found in high amounts within the skin, where it plays important roles negating the effect of harmful UV rays and increasing collagen production within the skin. As such, it plays an integral role in negating age-related declines in skin quality, while also protecting the skin from environmental damage . Vitamin E: is a potent antioxidant that protects the skin from sun damage while also reducing inflammation within the skin. Through these two actions it can decrease the declines in skin health associated with ageing . Vitamin A: is an interesting compound that is required for wound healing and skin regrowth. As such, it plays an important role in supporting the development of new skin cells and maintaining optimal skin quality . Zinc:is an essential mineral that has been shown to cause substantial increases in skin health, while also reducing the spread of harmful bacteria across the surface of the skin. As a result, it offers a fantastic way to ensure healthy, blemish free, high functioning skin . There are a huge number of skin health supplements appearing on the market, which can make choosing one quite the challenging. As such, we have gone out and found what we believe to be the best three options available on the market today. 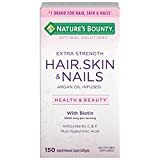 This skin health supplement by natures bounty is one of the most popular on the market – and for very good reason too. It offers high quality ingredient in extremely potent dosages, making it both highly effective and highly efficient. It also includes a number of compounds that are essential to normal healthy skin function, ensuring it convers all bases of skin health. Here futurebiotics provide us with an exceptionally high-quality option that has been extremely well received within the health and fitness industry. Using top notch ingredients in scientifically supported doses, it provides us with everything we need too improve skin health and quality, while also staving off the harmful effects of acne and other skin disease. 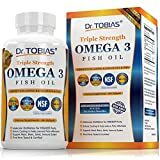 In conjunction with one of the other two supplements listed above, we would strongly recommend also taking a high-quality fish oil supplement. This will greatly reduce skin inflammation, allowing skin healing and regrowth to occur uninhibited, ultimately speeding up the entire process. 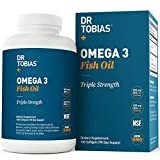 Of those fish oils appearing on the market, Dr Tobias appears the most efficient, providing high quality Omega-3 fatty acids in extremely potent doses. The skin is arguably our most important defense mechanism, acting as our first point of contact to airborne pathogens, toxins, and chemicals. Unfortunately, this exposure can lead to a significant drop in skin health and quality, combined with a greatly increased risk of developing acne and other skin disease. If you have had any experience with the skin health supplement listed within this article, we would love to hear about it – so please drop us a comment and we will get back to you ASAP.